New for 2017, TwinCubiCool®, a double version of the CubiCool®, makes outdoor entertaining twice as much fun ! 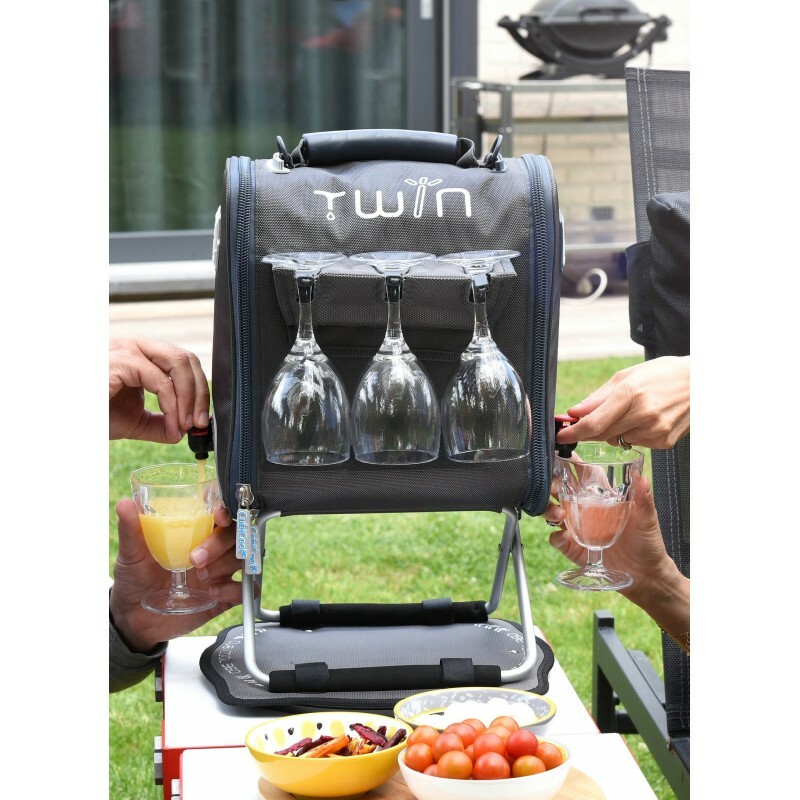 TwinCubiCool® is sure to be the star of your next picnic : it even won the bronze medal at the 2017 “Concours Lépine” competition for innovative new products. 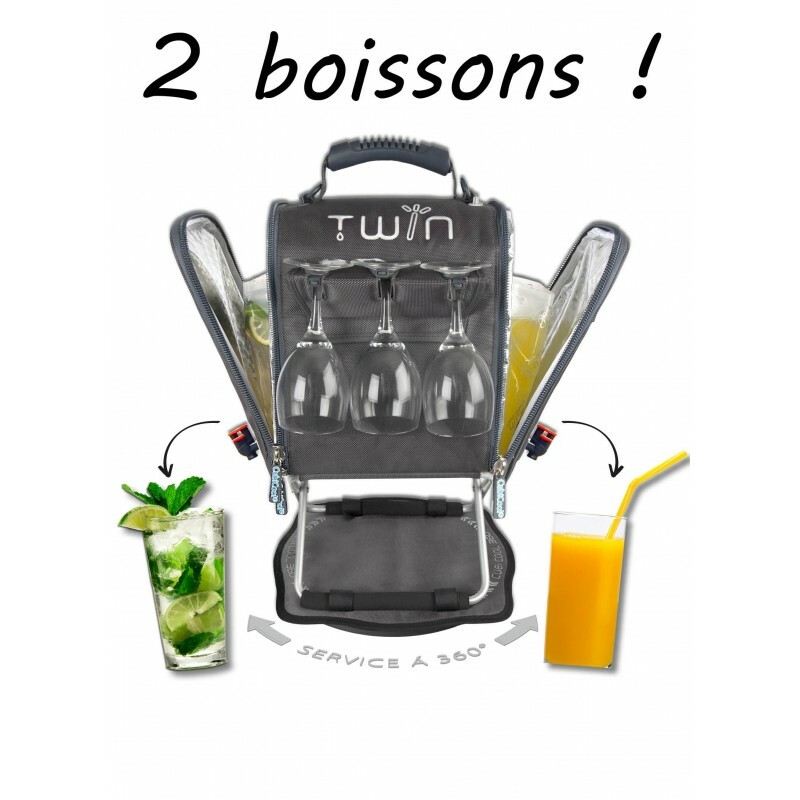 Featuring two 3L pouches, TwinCubiCool® allows your guests to choose between two different beverages. TwinCubiCool® adds twice as much refreshment to your outdoor event ! The TwinCubiCool® includes the same great features of the CubiCool® - but double ! 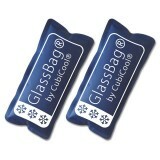 Buy your favourite 3 or 5 litre bag-in-box wine and keep it cool for hours, no ice cubes require. 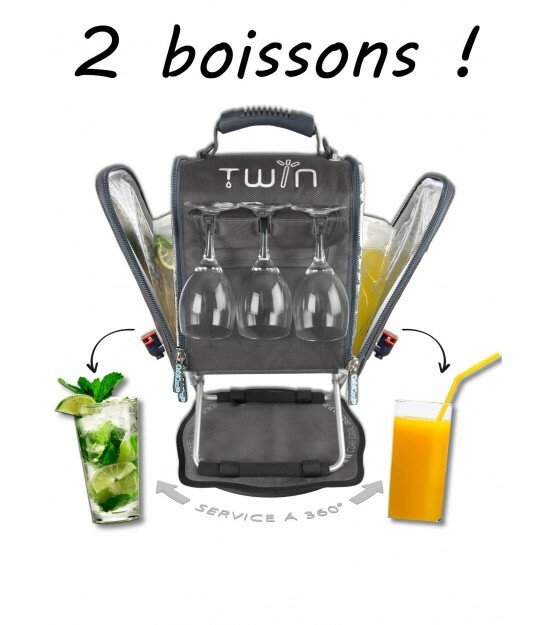 You can also fill the two 3L ApéroBiB® pouches with your favourite drink : mojito, punch, sangria, lemonade, iced tea and more! A large resealable opening at the top of each pouch allows you to easily prepare a fruit-filled cocktail or a refreshing flavored water. Two ice packs placed directly against the ApéroBiB® pouches or wine pouch ensure that your drinks stay ice-cold for at least 5 hours. 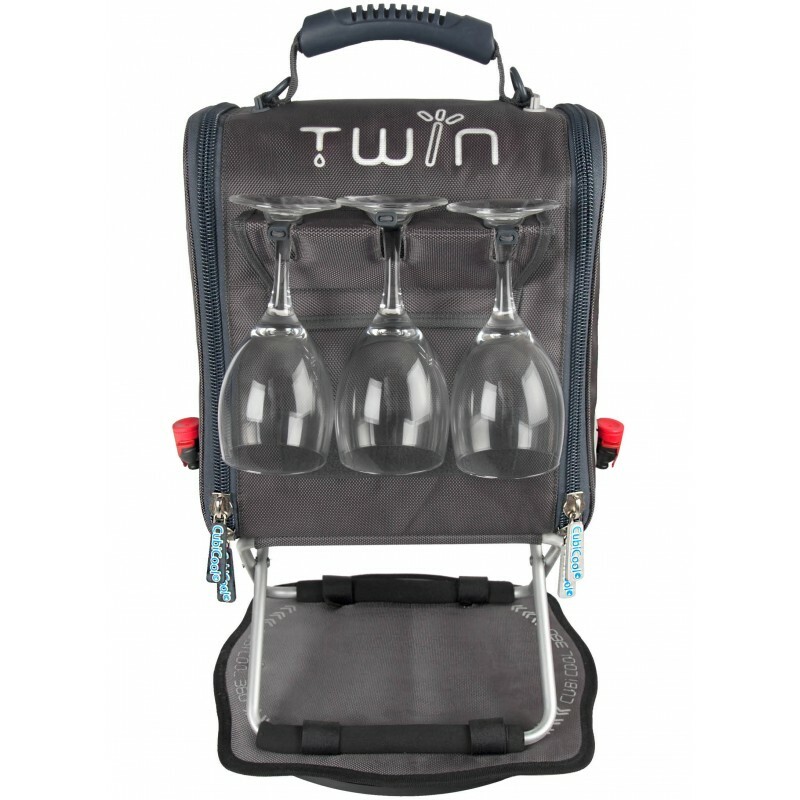 TwinCubiCool® is portable - when folded, it’s about the size of a toiletry bag, so you can enjoy a refreshing beverage at all your outdoor events and outings, whether close to home or on vacation ! TwinCubiCool® is effective : its insulating materials and two ice packs will keep your drink cool for hours. No more warm wine, no more melted ice cubes, and no endless trips to the refrigerator ! TwinCubiCool® is convenient - elevated by a metal stand, the TwinCubiCool® makes a great centerpiece for your table or picnic blanket. You and your guests will love it - simply set your cup underneath the spout and pour your drink ! 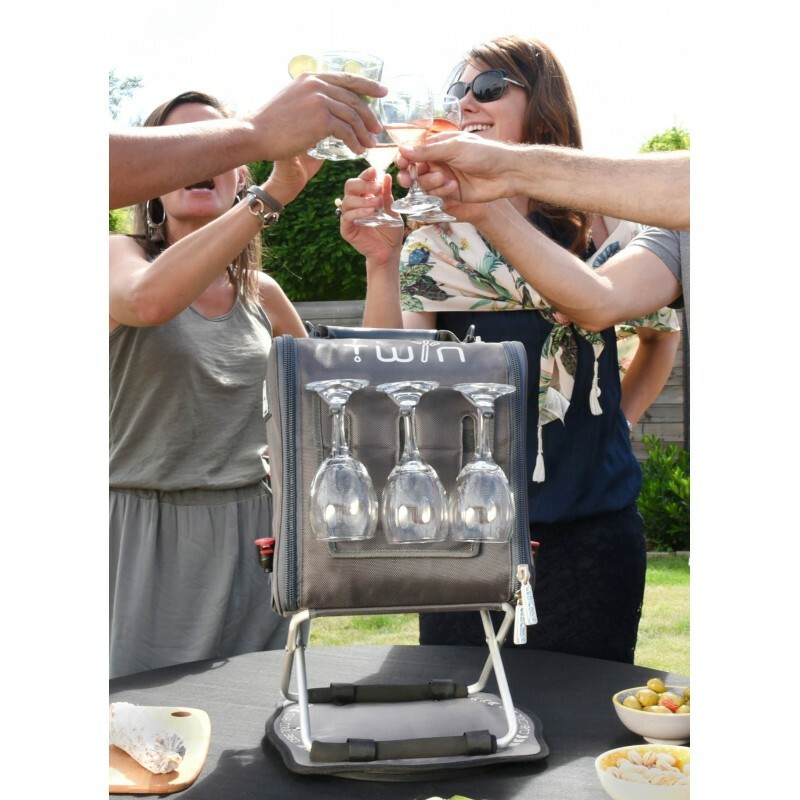 TwinCubiCool® is innovative - It features built-in cup holders on each side, which can hold up to 6 wine glasses (wine glasses are not included). Elastic straps keep your wine glasses extra safe during transport. To save space, simply fold the cup holders when not in use ! 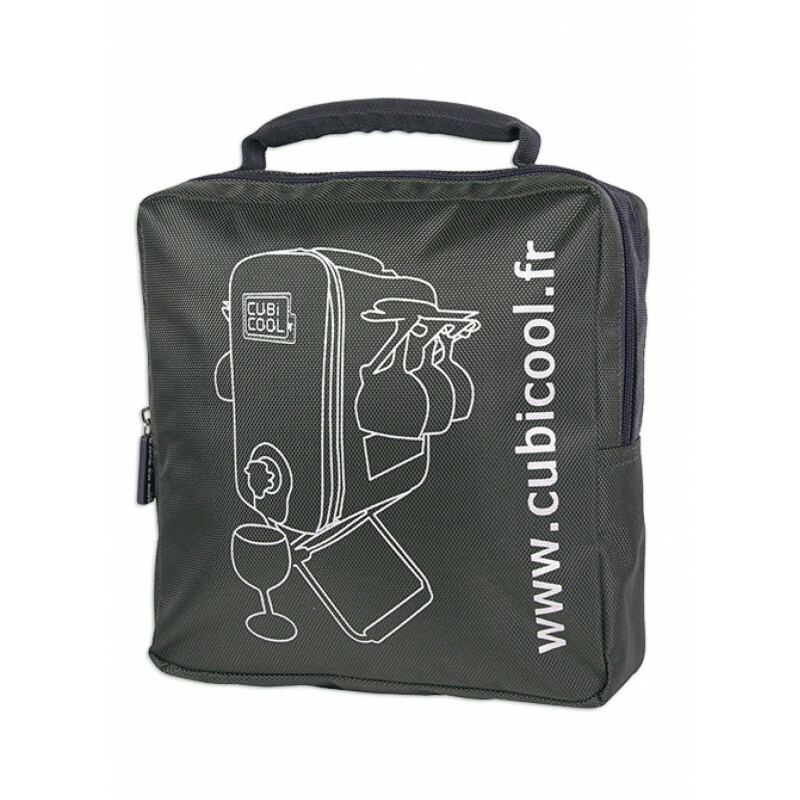 Your TwinCubiCool® includes : 1 metal stand, 2 ice packs, 2 3L ApéroBiB® drink pouches, 1 CubiCool360® (rotating tray) / Stopper (in case only one side of your TwinCubiCool® is in use).